British PM May under pressure to resign – Royal Times of Nigeria. 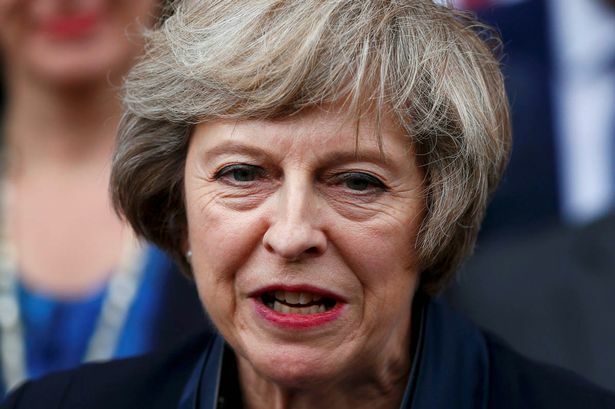 (Reuters) British Prime Minister (PM), Theresa May, is not considering resigning, Sky news reported on Thursday, citing her Downing Street office. “Downing Street: Resignation is not an issue,” Sky News said on its screen. A spokesman for PM May did not comment on the report. A spokesman for the Conservative Party also did not comment. Also Britain’s ruling Conservative Party must remain “cool-headed”, Business Minister, Greg Clark, said, after a speech by May at their annual conference was ruined by a prankster. The BBC reported that while ministers were rallying around the beleaguered May and praising her “guts and grace” in persisting with the hour-long speech in spite the mishaps, some Conservative members of parliament were discussing amongst themselves whether to ask her to resign.